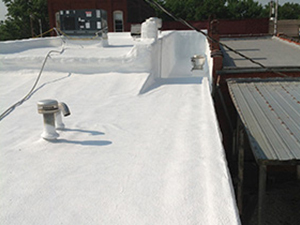 Foam roofing, or spray polyurethane foam, is a roofing material for flat and low-slope roofing units. It is a sturdy insulation material that can seal buildings from air and moisture penetration. This helps to create a more efficient structure with lower energy costs. When you choose to rely on Capital Coating, Inc. you are putting your faith in a commercial roofing contractor that has expertly skilled foam roofing repair technicians. All of our teams are formally trained. Because of this, we are able to proudly stand behind the repairs that we provide our valued customers. For commercial or industrial buildings with spray foam roofs that need repair work, please give us a call at (717) 442-0979. One of the reasons that foam roofing is becoming a popular choice for facility owners is because of the minimal maintenance they require. That being said, any roof can sustain damages, whether from a storm or some other disaster. We know that a leaking roof can cause stress on building occupants, staff and customers, so we will work as quickly as possible to treat your commercial right away. In order to locate any points of concern, our technician will provide an all-points roof inspection. This will help isolate problem areas and customize repair solutions. After an inspection we take the time to discuss your roof and its current condition. We want you to be educated on your roof and the care it requires, so our specialist will answer any questions you may have. If you have a roof that has a larger area of damage, click here to learn about our foam replacement services. With our hassle-free inspection and sales procedures you will never feel pressured into anything. Our team is made up of respectful and professional people that truly enjoy helping others. Call us at (717) 442-0979 so we can provide you with a roof inspection today. The list is nearly endless! To learn more about how we can assist you please give us a call. You can reach us at (717) 442-0979. Our knowledgeable staff will gladly answer any questions you may have about this amazing roofing system. Our company was built on old fashioned business principles – authentic and reliable work, honesty and a dedication to our customers. Our service technicians receive the highest level of training in spray foam roofing, including the appropriate methods to repair and maintain them. 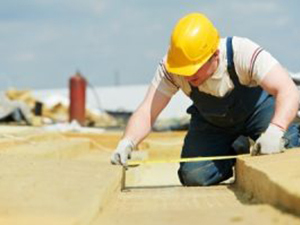 We practice our business principles with every roofing project we manage. We hope to form a lasting business relationship with you.